If you file twice, the IRS will not accept the second return. 2. What Happens if a Wrong Account Number Was Provided for Income Tax Returns? 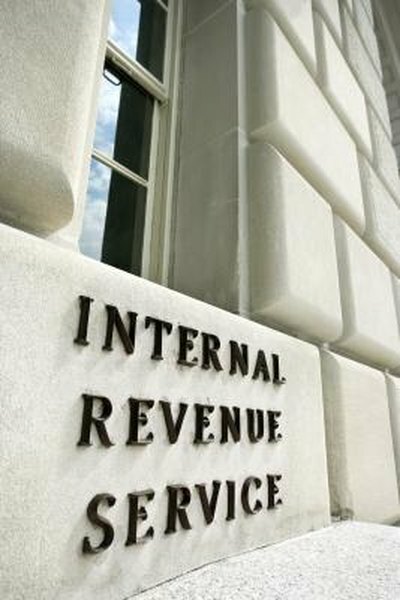 The Internal Revenue Service has a strategic process for receiving and processing federal income tax returns. As one measure to prevent identity theft and tax fraud, the IRS uses your Social Security number to verify the authenticity of your return. If your Social Security number enters the electronic filing system twice in the same year, the IRS will take the proper measures to prevent possible tax fraud or identity theft. Once someone files a tax return electronically under your Social Security number, the IRS database flags the number, preventing you from filing additional returns. If you attempt to file your return twice, the IRS will reject the return and return it with an error code and explanation. The IRS typically uses error code 0515 or IND-515 to inform the sender that the taxpayer already filed a tax return for the same year using the same Social Security number. If you receive a rejection after filing your first return, immediately recheck the information on your return to ensure you entered your Social Security number correctly. If the information is correct and you are certain you did not already file an income tax return, contact the IRS at (800) 908-4490 Monday through Friday from 7 a.m. to 7 p.m. local time. If someone else used your Social Security number, you are typically the victim of identity theft. Complete Form 14039 and mail the form with your income tax return. You are required to submit at least one document as proof of your identity, which can include a copy of your passport, Social Security card or driver's license. The IRS has an extensive team dedicated to investigating identity theft. In a typical case, investigating your situation and processing your return can take approximately 180 days. You should receive a letter or a phone call from someone from the IRS Identity Protection Specialized Unit, who will explain the next steps. In addition, you should receive an identity protection personal identification number, or IP PIN, which will protect you from future tax fraud. To file future returns electronically, you will need to provide this number. Your IP PIN guarantees that only you can file a return under your Social Security number and helps the IRS avoid delays when processing your return and issuing a refund. There are several measures you can take to lower your chances of being victimized by identity theft. Never carry your Social Security card or any other documents that contain your Social Security number. Check your credit report at least once a year using the free service provided by the Federal Trade Commission website. Give out your Social Security number only when required on official documents from a trusted source. Have a safe and secure place to lock up documents that contain sensitive information. Protect your computer by installing anti-virus and anti-spyware software and firewalls and update your security patches. In addition, change the passwords on your Internet accounts on a regular basis. Can a Tax Return Be Rescinded?